Hall of Heroes, A Fellowship of Fantasy Anthology goes live tomorrow, June 27, including one of my stories, “The Demon Monkeys”! 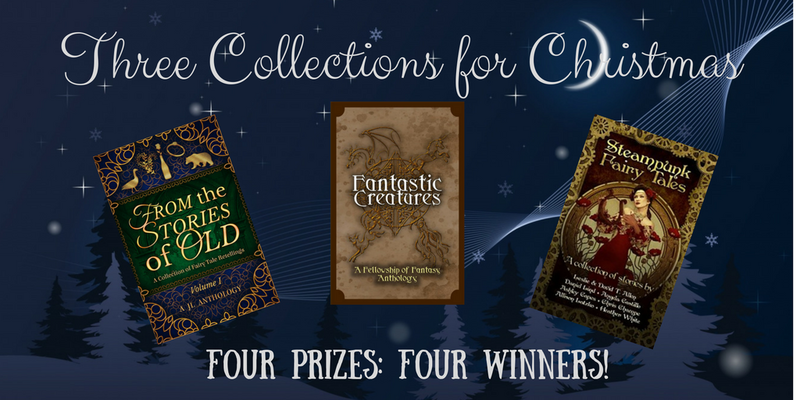 We, the merry scribes of the Fellowship of Fantasy, invite you to help us celebrate. 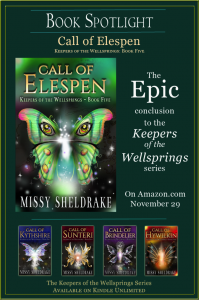 Chat with the authors about the heroes and heroines in their stories, plus enjoy games, door prizes, giveaways, and more! The party is July 1st on Facebook, from 1 – 3 p.m. PST. 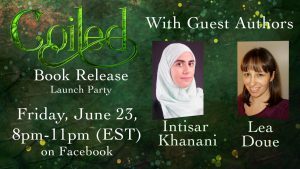 Join us here: Launch Party! 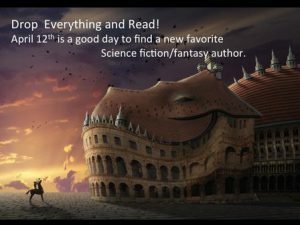 In the second anthology from the Fellowship of Fantasy, twenty-three authors explore the theme of heroes, covering genres ranging from steampunk and fairy tale to urban and Arthurian. These are the heroes you’ve been waiting for. 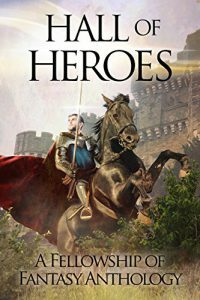 Enjoy Heroes: A Fellowship of Fantasy Anthology, and join the adventures! A surprise for fans yearning for more about the world of my first novel: Think of “The Demon Monkeys” as ancient history to Wyndano’s Cloak. You can find purchase links for the anthology below. 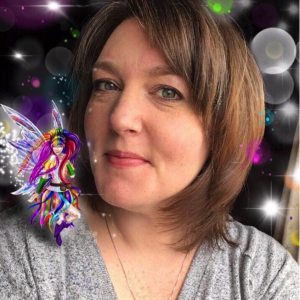 Book marketing is an art, and few understand it or bring more creative energy and imagination to the enterprise than fantasy author, H. L Burke. So when she offered to do a guest a post, I jumped at the chance for her to share a few words on the subject. 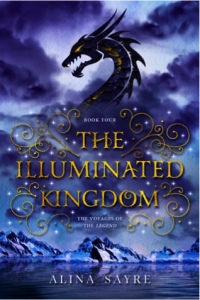 H. L. is on the Coiled blog tour: a collection of posts celebrating the release of her new YA Mythological Romance from Uncommon Universe Press. Via the links below you will find interviews, informational and entertaining posts about the story behind the story, and of course, sneks. Seven stops on this blog tour contain special Scavenger Hunt Clues, presented by #TheodoretheDragon and #PistachioSnek. More about that below. 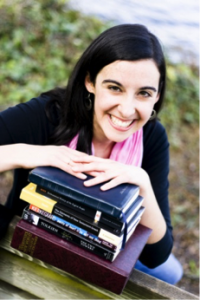 First, here’s H. L. on book marketing! Don’t go onto social media to promote. Go and interact, go and be you, but you need to earn your right to sell. Too many writers have a social media presence consisting purely of buy links, reviews, and cover reveals. You’ll find out a lot about where to buy their books, but not necessarily why you should, and definitely not why you should follow them on social media. 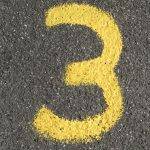 If you want to approach social media as an author (to #BeSeen to borrow a theme from Coiled) I suggest three Be’s. Be Interesting, Be Authentic, and Be Realistic. Be interesting hits a lot of authors hard because they may not necessarily believe they are interesting. This leads to them parroting links and imitating others just because they don’t know what else to do. After all, there’s nothing shiny about you. People don’t care about you. You aren’t interesting. Seriously, though, did you write a book? Is the book interesting? It was interesting enough for you to spend months if not years of your life working on it. Where did that interesting book come from? From you! You produced something interesting. How did you do that if you aren’t at least a little bit interesting? The thing is, authors are mysterious beings who somehow form coherent novels, when a lot of readers struggle to write emails. Do you do research for your books? Do you keep inspirational images? Do your characters have conversations in your heads? I often suggest writers treat social media like the bonus features on a DVD. Include “making of” and “behind the scenes” content, cut scenes, “cast” interviews. Give sneak peeks of upcoming projects (previews), and let them in on your process. If you’re shy, let your characters take over. Allow your hero to interact on your Facebook. Have your villain “hijack” your Twitter feed. Have your heroine share images of her favorite weapons on Instagram. 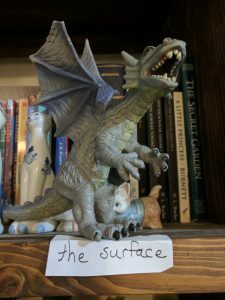 My instagram is mostly run by #TheodoretheDragon, a toy dragon who goes on many wonderful adventures which I just photograph and post online. Another thing to remember is often if it is interesting to you, it will be interesting to your reader. In between projects, talk about things that you find entertaining: books, TV shows, and music that suit the genre, themes, or mood of your book. Share artwork (honestly sourced, of course) related to your books. I’m forever sharing dragon pictures because my readers like dragons. What do your readers like? Be authentic. Don’t put on a false face for social media. A lot of times this is a defense mechanism, but if you are very uncomfortable doing something or interacting in some ways, stop and find a different approach. Don’t pretend to be something you aren’t (exception, obviously, if you are openly doing the “post as your characters” thing I talked about in the last section). Also, don’t humble brag (the internet knows about this), and don’t worry about presenting a glistening, perfect facade … or a highbrow literary facade. People hate fake, and it takes a lot less energy in the long run just to be you. Figure out the tone you feel best represents you. Is it playful? Serious? Snarky? That’s a good place to start. Be realistic. Consider the hours in a day, your own personality (extroverted or introverted? Better online or in person? Playful or serious? ), your honest limitations. Don’t try to do it all. Rather than being spread thin over all the sties, pick ones you feel you can do well—or better yet, enjoy, and just focus on those. Give yourself permission to take time off, save some of your creative energy for writing your next novel. I’m a big believer in the best marketing being to write books people want to read, so never do anything that stops you from writing. If people read and love your books, they’ll tell other people about them. 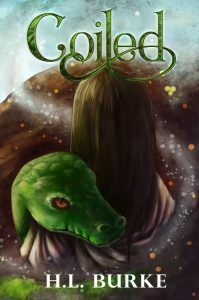 Speaking of books people like to read, if you like romantic fantasies, mythological retelling, or books with really big snakes, I think you’ll like Coiled, a fantasy retelling of Eros and Psyche, one of my favorite myths, be sure to check it out and tell your friends! Thanks so much for sharing your ideas, H. L. You’re truly in an inspiration. Now, about that Scavenger Hunt. 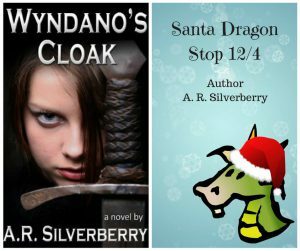 Seven stops on this blog tour contain special Scavenger Hunt Clues, presented by #TheodoretheDragon and #PistachioSnek. Look for a photo of either or both of those little guys holding up a note. Each note is part of our secret phrase. When you have all seven pieces of our secret phrase click here and tell us. All correct entries will be put into a random drawing for a signed paperback of Coiled. The winner will be drawn at our Facebook party on June 23rd. 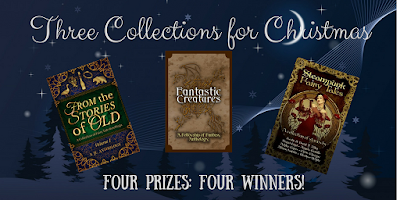 Read on to find out more about the anthologies and enter the giveaway! FANTASTIC NEWS ABOUT FANTASTIC CREATURES! 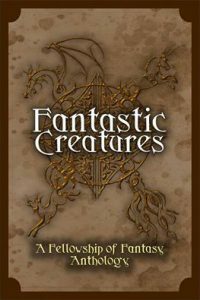 Fantastic Creatures, an anthology of twenty short stories from the Fellowship of Fantasy, is here at last! 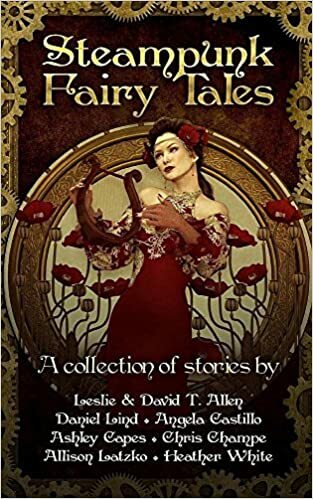 Each tale features a creature from folklore or mythology, including my yarn, Three Steaks and a Box of Chocolates, my funniest tale yet. You can read more about it by taking part in our Scavenger Hunt. 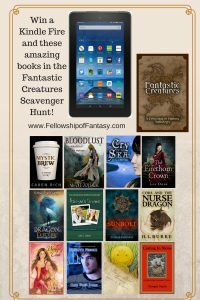 Visit all the stops, collect the clues—look for the number in each post!—and you could win a Kindle Fire, plus eBooks from participating authors. Read down to the bottom to find out how to enter. But first, here’s D. G. Driver, who contributed Who’s Afraid of a Baby? to the anthology. Who’s Afraid of a Baby? A few years back, my then assistant, a lovely Goddess of a woman named Maria, and I were both super into watching True Blood and The Walking Dead. We shared our enthusiasm for all things vampire and zombie after each new episode. At that time, several of the babies in the room were older and either crawling or beginning to walk. Whenever either of us would get on the floor, the babies would immediately approach us, stumbling and bumbling until we were smothered by babies. Maria and I began to joke about how they moved like tiny zombies. It always started out as simple, harmless ambling by one lone child to suddenly being mobbed and attacked by all of them. Hair being pulled while slobber and drool proliferated. We nicknamed all our moving babies “Bombies” and it is a nickname for the burgeoning toddlers that I still use to this day. At home my writing mind whirled. What if babies were little monsters? That would be hilarious. I considered writing a story about baby zombies but never got around to it. (I’m not alone in the idea, though. Buzzfeed did this fantasy video “Horror Movie Day Care” that makes me laugh every time I watch it. 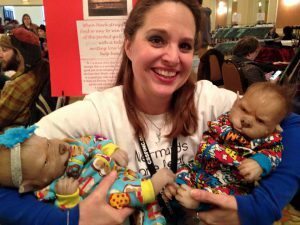 https://www.youtube.com/watch?v=5WTkJHHF4B4) Also, when at Chattacon (a speculative fiction convention in Chattanooga) last year, I met a lovely woman who made monster baby dolls. No kidding. This is how she makes her living. I, of course, had to get a picture with them. One day, I saw a prompt for an anthology looking for horror stories. Ah! I thought. I will do this. I wrote up a story about a rather unusual day care. It didn’t get accepted, though, because I think it was a little too different from the other stories chosen for the book. So, I stuck it up on Wattpad for a while. My daughter made me a really cute cover image for it. I left it there until I saw the call from Fellowship of Fantasy for their Fantastic Creatures anthology. I tweaked the story again, and to my great surprise and joy it got accepted. No, the babies aren’t zombies. You’ll probably figure out pretty quick what they are, though. I’m told that “Mother’s Night Out” is one of the more scary/gory stories in Fantastic Creatures, but it’s still PG13. I mainly write YA, and I feel it is fine for my typical audience of readers. 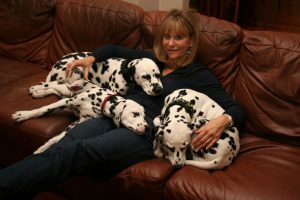 I do hope you enjoy it, and if you’re curious about any of my other books or stories, visit me at www.dgdriver.com to learn more about my work. 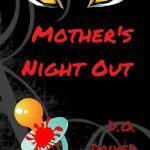 MINI GIVEAWAY FROM D. G. DRIVER! 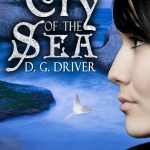 Sign up for D. G.’s mailing list on her website during this scavenger hunt, and she’ll enter you to win a free eBook copy of her award-winning mermaid novel, Cry of the Sea. Happy reading! Perfect for the fantasy lover who can’t get enough of mythical beasts! When I heard that John Steinbeck kept a writer’s journal I thought I’d better give it a whirl. It’s turned out to be one of the most useful tools in my arsenal. It helps me stay focused on whatever project I’m working on, experiment with different passages, brainstorm ideas, and sort out story- doubts and self-doubts. It helps me keep going, even when I’ve stalled and I’m ready to abandon the whole vocation and take up golf. It’s also useful to go back through the journals and re-read what I was thinking about at various points in time. For each piece I’m working on, whether it’s a short story or a novel, I start a journal in a separate folder for that project. This helps me stay focused on that project and find within its pages ideas, explorations, or solutions as needed. I recently validated this approach. 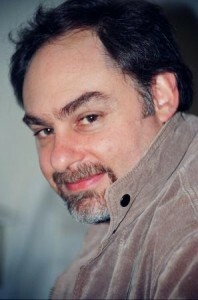 I had been working intensely on book three of a sci-fi trilogy but set it aside mid-May to work on three short stories. These got completed in 7/31. When I went back to the trilogy I felt quite distant from it. I knew I was just starting Act II in the plot, but the thousands of ideas and questions that were percolating in my head had long since flown away like a flock of migrating birds. A quick review of the journal helped me get back on track. By reading earlier entries, I was able to find where I was planning to go with a particular character or conflict. My father, who penned plays and screenplays, used to talk about the tyranny of the paper. Of course, this was in the days of typewriters or writing longhand. What he meant was that there was something intimidating about the stark, white, unblemished page. It begs us not to mar it. And if you have a few lines or a passage written there, it can also be difficult to add anything. It’s almost as if the words are set in stone or are sacred—anything else you add better be good, or pack it up. My father’s solution was to crumple a paper bag or something else that didn’t matter and write on that. (I once saw a poem he wrote on a cocktail napkin.) You can even scribble on it first. The crumpling and scribbling sends a great message to your brain: Relax, there’s nothing at stake here; this is something you can toss in the trash. Even on a computer screen, I often experience the tyranny of the “page.” One of my favorite ways to deal with it is to go to my journal and experiment there. I feel totally liberated to write whatever I want, and to write badly. No one ever sees it, so what does it matter? Freed up mentally, I often come up with just what I need. Every novel has one or two sections that I call my Waterloo passages. Gnarly, messy, scary, these sections torture me because I’m not sure how to write them or make them work. Reading in prior journals helps. I can quickly see that this is a normal part of the creative process and that I always get to the other side it! Someday I’ll share some real life examples from my journals. But I thought I’d post this as an introduction. A final thought. Sometimes I use journals to capture something I’ve seen or heard. Here’s an entry from the journal I kept while writing my novel, The Stream. Leave a Comment! I’d love to hear how you use a writing journal.